While the buildup to The Conjuring and even the first half of the movie were way better than the movie as a whole, it was a solid horror flick. The Insidious franchise sputtered out, so its up to director James Wan's other horror series to continue spooking us. I'm looking forward to seeing if Vera Farmiga and Patrick Wilson's characters (based on the Warrens, a real life ghost busting couple) have any franchise power. This sequel jumps across the pond to investigate some supernatural shenanigans in England. I'll admit I was a little skeptical of this at first. I haven't read the book this is (loosely I would imagine) based on, and maybe I'm worried nothing will live up to an actual Harry Potter movie about the titular wizard. But Jo Jo herself wrote the screenplay and its directed by Harry Potter godfather David Yates. Plus, Eddie Redmayne's a great actor, as long as he's not working for the Wachowskis. The film follows the adventures of "Fantastic Beasts" author/wizard Newt Scamander (Redmayne) while he's in New York. 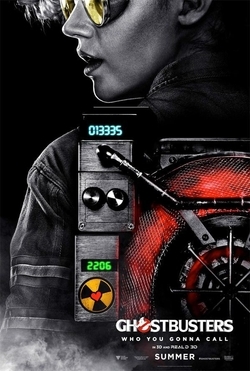 Good news: We're finally getting more Ghostbusters. Bad news: This film is rebooting the franchise entirely and getting rid of some awesome backstory/continuity. Also, director Paul Feig's last few films haven't really wowed me. If he was doing this flick right after Bridesmaids I'd probably be really stoked. But we can't all be Colin Trevorrow, now can we? Also, crushin' pretty hard on Kate McKinnon's character, who may or may not essentially be a gender bent Egon. Let's try not to analyze that too much. The Force Awakens kicked off a new golden age for Star Wars. This December will see the release of "Rogue One", the first of the new "Star Wars Stories", tales not tied directly to the main films. 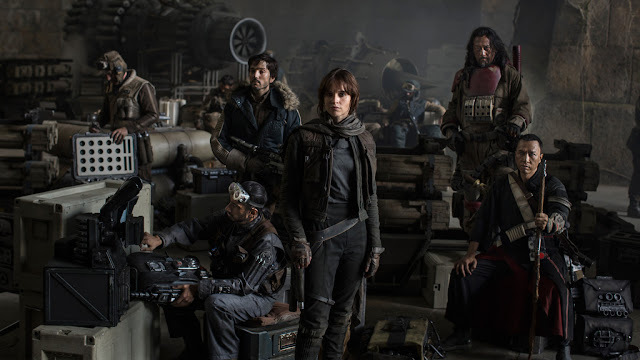 Rogue One takes place before A New Hope and will follow the team that steals the plans for the original Death Star. A film focusing on a tiny detail from the original Star Wars is an interesting prospect. Huge Trek fan here. I really enjoy the cast of the rebooted franchise and I'm looking forward to seeing this flick do its own thing post Into Darkness. This film will finally find the crew of The Enterprise on their five year mission, and I'm definitely looking forward to what they find. I'm curious to see how a J.J. Abrams-less Trek works out - frequent Fast & Furious director Justin Lin has come aboard for behind-the-camera duties.